Donna obtained her BFA Interior Design Degree from American InterContinental University. She has over 20+ years of experience in the building industry with her focus on Model Home Merchandising. She loves the business and the effect that design has impacting the home buying decision. Donna is inspired by the beautiful world that we live in. 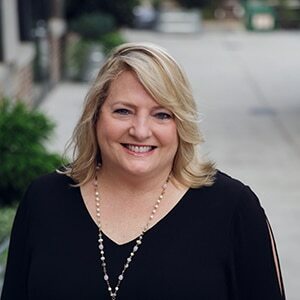 She serves on the Executive Board for the Professional Women in Building in Atlanta and enjoys mentoring the next generation of leaders in the industry. After hours, Donna enjoys cooking, traveling and doing life with her husband Barry.